So why'd I rate it highly? Well, because the drama was brilliantly executed. Acting/Cast: I think all of the actors did a really great job at portraying their characters and making the audience understand and sympathize with the characters' struggles especially Ohno Satoshi. 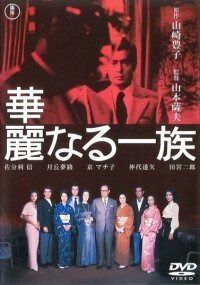 Although some say that he was a little stiff, I think how he portrayed Naruse was the best direction for the character because with just his facial expressions, you can understand and feel what Naruse is going through emotionally. His best actor award for this drama was truly deserved by him. 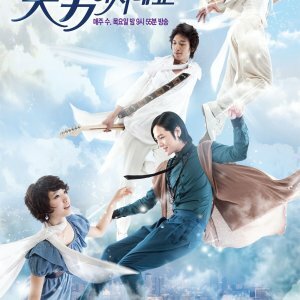 Music: Jdramas usually have only one or two songs for the soundtrack but here, they had a variety of music that went with every scene smoothly adding tension to the drama. Rewatch value: I only gave it a 6 because it's not something I'd want to watch over and over again. As I've said, it is a sad drama. It would probably take a month or two before I'd want to watch it all over again. I can honestly say that this is the best drama I've ever seen. I usually watch a lot of rom-com's, but I happened to stumble upon this one one day and I'm so happy I did. It left such an impression on me that I was left with wanting so much more, but if you've watched it, or when you finally watch it and finish it, you'll know a second season would be impossible. 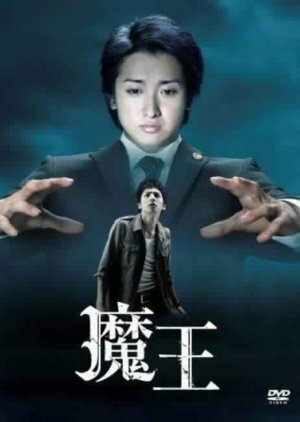 I applaud Ohno Satoshi and Ikuta Toma's acting. In fact, I would bow to them both if I ever saw them. I never realized how amazing they were at acting until I watched this... Mostly because I hadn't seen any of Ohno's dramas before, and the only one's I'd seen of Toma's were Hana Kimi and Hanamizuki. But I will definitely be watching more of their dramas now that I know their skills. 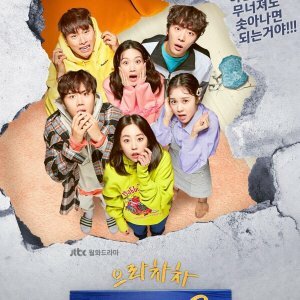 This drama was very suspenseful, and I found it very hard to put off because I was always left wondering what would happen next after every episode. And lets just say, I was practically bawling when it finally ended. I would rewatch this a million times if I could! Although dramas are always best the first time cause if you rewatch it you'll already know what happens at the end and it's not as suspenseful... but if I wanted to, I would rewatch this again. So, that being said, I highly, highly, HIGHLY recommend this drama. I guarantee you won't not like it, and it could possibly become one of your favorites! I have no idea why it took me so long to watch this drama, it was unexpectedly really good. I'm usually not into crime/detective dramas but there was just something about this drama that kept me hooked. The story seemed quite unique to me (I know this is the Japanese ver of the Korean one) Everything that happened in the drama was brilliant. I want to describe in detail on what I mean but I don't want to spoil it. I'll just say the way everything turned out made sense. There are always those movies or shows that have confusing parts where you sit there and go"..but how/why?" Everything was pretty much clear. The cast, Oh how I loved the cast. This was the first drama I've watched with Toma being so serious. Besides the fact that most of the time he was running and screaming lines that probably didn't need to be shouted, I thought he did a great job. But Ohno. Oh my god Ohno. I knew he could act but I never knew how well he could act. He played off that Angelic/somewhat bad character so well. The supporting cast was perfect too. Maybe 1 or 2 characters I felt could've had different actors but overall I thought the cast was great. As for rewatching, I probably won't be rewatching this drama anytime soon or possibly at all. I feel like dramas with suspense can really only be watched once. But I would definitely recommend this drama to anyone who's considering watching it! I must really, really commend Ohno Satoshi for his performance. Nothing to say--I was rooting for him the entire time. I cried when he cried, raged when he raged...I got my heart broken twice. The entire cast, though, was amazing as well, just that Ohno blew me away. I must say, not all idols can act, let alone act as well as Ohno. The soundtrack had one track that played a bit often (perhaps because I marathon'd the series, but I love it so much I didn't care at all. If I listen to it now I'm sure I'll cry. The track is called "LiVE/EViL". Plus, Arashi's "truth" (the opening theme song) is one of my favorites even now. Rewatch? I'LL REWATCH IT 5EVERS (it's one more than 4ever, you see). There's suspense, there's romance, there's intensity...If you haven't watched it yet...Do it now! HIGHLY HIGHLY RECOMMENDED! PS: Cry easily? Have a box of tissues ready! This drama had me captured from the first episode. Most serial killer like dramas are only about finding out who it is, but, in this, you know at once who the killer is. It was a beautiful drama that displayed love, regret, guilt and revenge in a beautiful way. It left me sad, but also quite happy. It really changed my view of life. I highly recommend it. 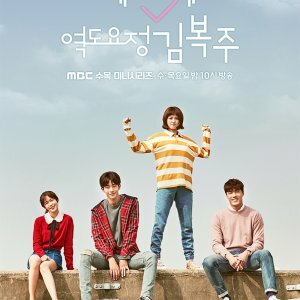 This drama surprised me in that I was expecting to find it a lot more... hopeless? The story is beautiful, and has an outstanding ending. While I was a little bit worried at the beginning (I am a Christian and some of the religious themes in the beginning got a few worries from me), I found myself utterly drawn in. While I wouldn't say the actual plot was "human", the characters most definitely were. I really loved the actors they chose for this drama. Both of the leads were astounding, and had an amazing gift with subtle facial expressions. They both owned their roles. This story questions the true meanings of justice and truth, as well as exploring redemption and atonement. It was beautifully filmed, beautifully acted, and well put together. You may be thinking that I'm being a little too generous for my ratings, but this show broke me in so many ways I'm still speechless. Not your average revenge plot, I can tell you that. This story is based around Serizawa Naoto and Naruse Ryou (Manaka Tomoo). Naoto is a Detective whose past comes back to haunt him in the most unforgiving of ways, while Ryou plays a wolf in sheep's clothing posing as the 'angelic lawyer'. It's interesting how this show didn't follow most revenge-based cliches, as there are no protagonists or antagonists, no soppy romance getting in the middle. It's dark, and unforgiving. This show questions morality, love, forgiveness, justice and how one deals with loss. Whether it turns you into a monster, or saves you from the monster. Ho~ Ho~ The acting in this is superb. My opinions are in no way bias, yes i am in love with Ikuta Toma's work as I am familiar with him in Ouroboros, but I did not expect this - this punch to the gut. He and Ohno Satoshi were on the same wavelength throughout the drama. Seeing them work together, feeding off of each others emotions, it's captivating to watch. Ikuta Toma was MADE for this role just as much as Ohno Satoshi was. Some may think Ohno Satoshi's acting was a little wooden, but that's purely subjective. i thought the same too in the first episode or two, but afterwards he's quickly become my favorite actor who i'm now looking out for. The supporting cast was equally as great, but these two stand out. Meh, in the beginning I thought it was a little bit cheesy. Yet, as I made it to the last couple of episodes the music was making my heart ache in emotion. Maybe after a month or two I'd come back to watch a couple of episodes. All subjective. If you're a masochist, yeah, you could watch it. Easily one of my top favorites. A show that'll stick with you throughout your life. This is by all means not a happy show, it's brutal and dark. If you're looking for some romance, or Ikuta Toma kawaii-ness, turn back. a perfect point for this drama.this is one of my earliest jdrama.i remember that i watched this during its airing so i dont know about the ending.as i never watched the original kdrama, i dont know that to expect of this drama. as expected of jdrama.every episode is compact.the plot move in a very good pace.11 episodes feel so short. you cannot skip at all or you might miss something.this story has everything.family,romance,mystery,thriller,friendship.this story is beautiful. ohno satoshi.this is his first drama so it is his first drama that i watched.i dont know him. but his acting in here is superb.aas this is his first lead,you can see that his acting at the beginning of the story is quite akward but as the story progress,we can see that he already perfected his naruse ryo.you can figure out what he feels just looking at his face.his look that change from smile to evel face during his first meeting with serizawa is scary.thats the actual moment that make me fall in love with this drama. toma ikuta.i watched him before in hana kimi.so i dont if he cloud bring this kind of role.but he surprised me.he is really good.his character is quite annoying at the beginning but as the story move,we start to learn bout him and who is actually serizawa. different from kdrama that always hv songs as the ost,jdrama usually only use music as the ost.this drama ost is one of the best.i listened to any jdrama ost but this is one is the only that is memorable for me.plus truth by arashi is one my fav song. I have just one word to describe this drama......AMAZING!I SERIOUSLY LOVED EVERY SINGLE MINUTE OF IT!there was nothing to fault. The plot was great.I just love the story line,your cant miss a minute cuz u never get tired of it! The acting was outstanding, I loved the main roles in this drama they did the best job. Ohno's and Ikuta's acting was just SUPERB!!! They were an amazing combination!! I have watched a very few of there dramas like hana kimi,kagi no kakatta heya etc but now I just want to watch more of thier acting!! The ost 4 this drama is FANTASTIC!!! Love the theme song by arashi!! 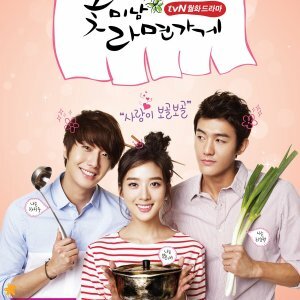 I WOULD WATCH THIS DRAMA OVER AND OVER AND OVER AND OVER........... AGAIN and never get tired of it! It is really magnificent!!! Although there was some romance here and there (which i really loved!!) I think there are other major elements in this drama which makes it awesome!!! This drama has an important message! You will be satisfied with everything this drama has to offer!!! Hopefully this review has convinced u 2 watch it! !Trust me you wont regret watching this drama!!! This drama is definitely a must watch!!! i highly recommend it!! I wasn't sure if I was in the mood for this type of drama, but both of these actors were new to me, so, based on the previous two reviews, I took the plunge. This drama was awesome! 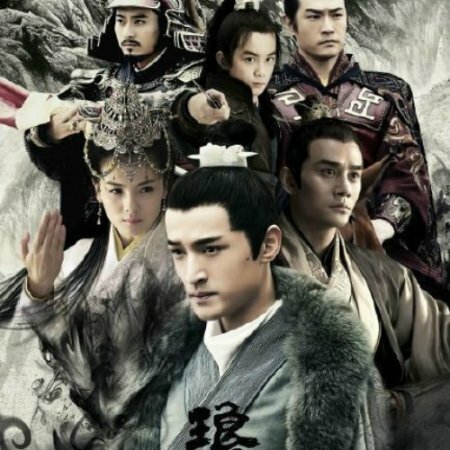 I won't give away any spoilers, but it's been a while since I felt compelled to do some reading about other viewers' reaction to this drama, after I finished it. Be prepared for tissues at the end...revenge is a difficult one. Great acting, suspenseful, and totally worth your time. I am looking up some of these actors to see some more of their dramas. 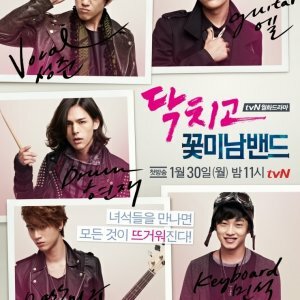 I highly recommend this drama!